This blend of Garnacha (70%) and Cariñena (30%) of organically grown grapes originates from the Catalunya region of Spain. Maceration lasts two days followed by eight days of fermentation followed by an additional ten days of maceration. Aged six months in both 225-liter and 300-liter french oak barrels. Cartuja comes from the name given to a large isolated geographical area governed by Carthusian monks during medieval times. When you drink this wine, you are experiencing a way of life! For centuries, this religious state produced wonderful smoky, spicy, dark fruit wines. Smell the mocha on the nose and enjoy! Best served with bbq beef brisket and good friends. 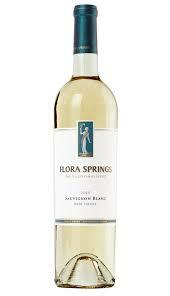 This 100% Sauvignon Blanc originates from the Oakville appellation of Napa Valley, California. The 2015 vintage was characterized by high quality and low yields. Temperatures were warm in late winter and cold again in May. This caused one of the earliest harvests on record in early-mid August. Fermented in stainless steel and aged in a combination of concrete tanks, stainless steel, and French oak barrels. This is a bright fruit driven Sauvignon Blanc with notes of grapefruit, passion fruit, mandarin orange and a strong floral presence on the nose. It’s like biting into a fresh grapefruit that will awake your senses. This wine is best served on the patio on a hot day with your closest friends. A fabulous value from Patrick Mata, the 2012 Gordo is a blend of 70% Monastrell and 30% Cabernet Sauvignon from an organic vineyard planted in 1970. Aged three months in French oak, it showcases the brilliant quality of the Mourvèdre grape from this sunny appellation. The wine boasts an opaque ruby/purple color along with notes of lead pencil shavings, blackberries, black raspberries and a hint of blueberries. The sensational fruit characteristics are pure as well as vivid. This full-bodied, opulent, stunningly savory, expansively flavored 2012 can be drunk over the next 2-3 years. 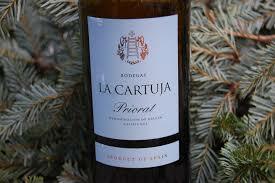 Monastrell is Spanish Mourvèdre, and this one is blended nicely with cabernet. We absolutely love this wine. Try Gordo with blue cheese, stews, spicy chili and similar hearty dishes. This wine has the heft on the palate and spice to pair well with BBQ with serious heat, pulled pork sliders, “five alarm” BBQ chicken wings, and with friends! 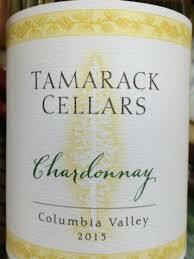 This 100% Chardonnay originates from the Columbia Valley in Washington and is sourced from several vineyards. These include the Olsen Brothers, French Creek & Lewis Vineyards, Bacchus and Garnache Brothers Vineyards, and the Alederbanks Vineyards. Moderate production of 2,000 cases. This is a fantastic Chardonnay with a great combination of fruit and butterscotch. At first, you will be hit with bright tropical fruits. Second, the butterscotch will take over and finish as liquid “Werther’s Original.” Fantastic tannins and a rich finish that goes forever. Best served with shrimp cocktail and friends. This 100%Mourvèdre originates from the Paso Robles appellation of San Luis Obispo, California. Clusters were hand sorted and placed in concrete tanks for fermentation. Aged in French oak 500 and 300 liter barrels. All Villa Creek does is produce super high end wine that is unbelievable! You will get a ton of black cherry, plum, spice, and even bresaola on this wine. You can drink this now or in 20 years and you will be good to go! Best served with Moroccan spiced meats, a bonfire, and good friends. Sancerre is a small wine district in central France, famous for its crisp, aromatic white wines made from Sauvignon Blanc. We cannot believe that it was possible for this release to top the last vintage! 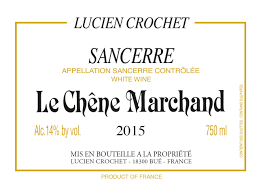 This Sancerre is easily one of our top two favorite white wines of all time, and perfect timing coming into the nice weather. If you like wines aged in stainless, that are crisp, refreshing, and with beautiful fruit, you are going to love this wine! Best served with sautéed white fish, oysters, smoked salmon, and with friends. This 100% Pinot Noir originates from the Santa Rita Hills or Santa Barbara, California. “Sandy’s block” is named in honor of Ron Melville’s sister and is located in the northwest section of the their east vineyard. The fruit was fermented in small open top fermenters with an average skin and stem contact of 30 days. Aged in neutral oak barrels. Melville consistently puts out some of the most wonderful and approachable Pinots on the market. The nose will hook you for life. You’ll find yourself wondering where you can get more before the first bottle is finished. You can just sit around and smell this wine all day. The nose is a bright cherry and the taste is delicate and complex. It is lush and velvety, go ahead and drink pinky out. Best served with light fare and good friends.